Eucharist is the center of our community life and is celebrated during our daily and weekly liturgies. Eucharist is encouraged for anyone who is sick or homebound and is provided though our parish's Ministry of Caring. 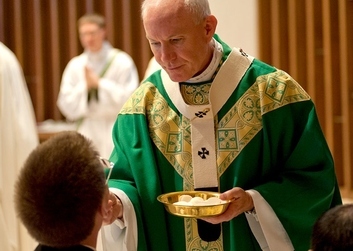 If you, or someone you know, would like to receive communion, please contact the parish office at (402)289-4289.